The Quest Institute is an educational non-profit organization that develops and markets STEM educational programs and support materials for K-12 schools globally. The mission of the Quest Institute is to introduce, intrigue, inspire, and ultimately engage students to understand what it means to pursue STEM-based careers. Several programs have been developed to foster that mission, the most recent being the Quest For Space (Q4S) program. Q4S is a proprietary and patented technology experiment platform that enables students to create science experiments that run on the International Space Station (ISS). It’s a project-based learning environment for elementary, junior high, and high school students to engage in science and engineering through the development of an experiment on the ground that is then uploaded and run on the International Space Station. To date, Quest Institute has run more than 114 experiments on the ISS that have globally impacted over 1000 students. 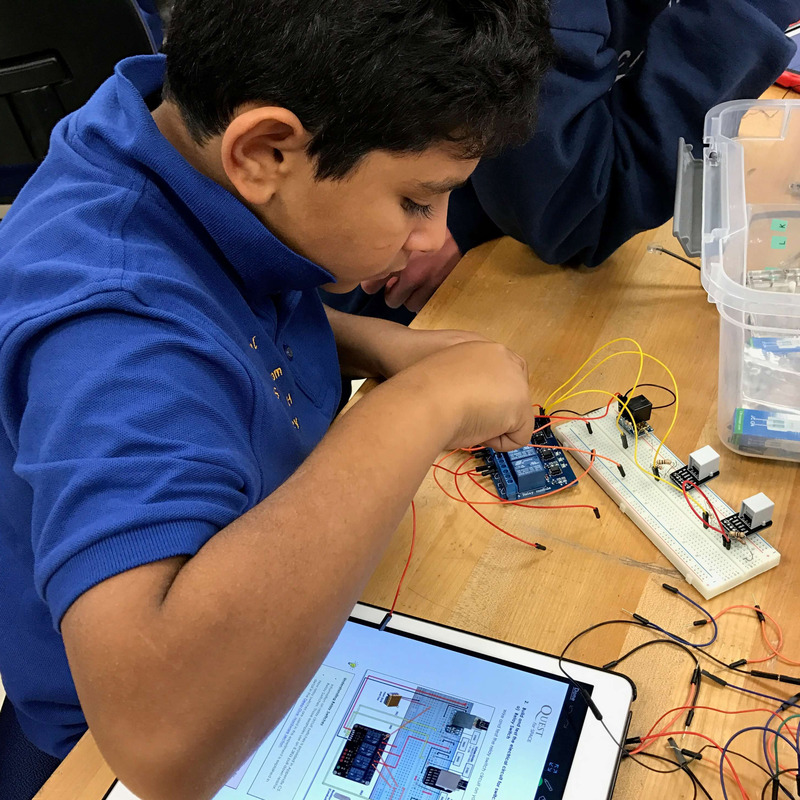 Learn software programming, electrical engineering, mechanical engineering, project management, and teamwork — in ways that are fun and accessible to students as young as elementary school!